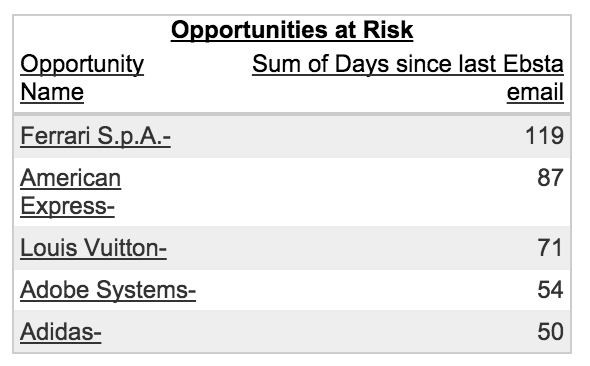 An Opportunities at Risk Report will give you insight into Open Opportunity activity levels so you can identify opportunities at risk before they're left to slip through the net. 2. Select Opportunities > Opportunities > Create. 3. Change Opportunity Status to Open and then define any other criteria that's appropriate for you (e.g. Close Date Range to the end of this Quarter). 4. Drag and drop the 'Days since last email' field into the Preview table. 5. 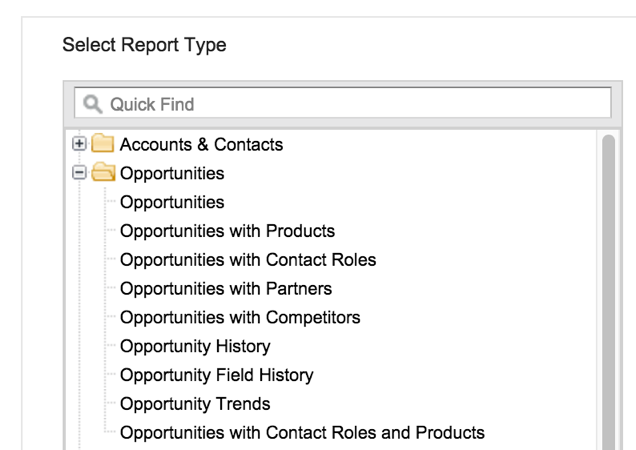 Click the dropdown arrow next to 'Days since last email' and click Summarize this Field... > Sum > Apply. 6. Drag the User header and the Opportunity Name header into the Preview table. 7. 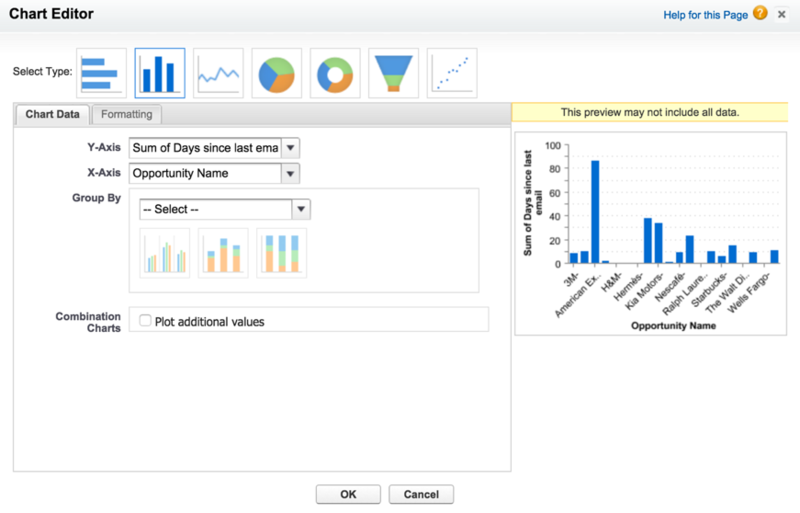 Click Add Chart and select a Bar Chart. Change the X-Axis to Opportunity Name. 8. Click Formatting and give the Chart a Title. 10. Click Save in the top right-hand corner, complete the fields and click Save.